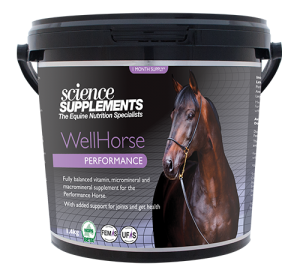 WELLHORSE LEISURE is supported by 50 years of scientific research into what individual horses and ponies require and is formulated to meet the demands of the leisure horse. 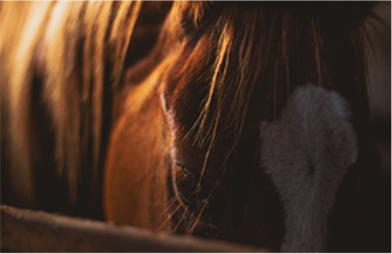 It contains every important nutrient your horse requires and meets the NRC (National Research Council) and BASF (Animal Nutrition) recommendations for vitamins and microminerals. In addition to vitamins and minerals, WELLHORSE LEISURE also includes a source of highly bioavailable D-Biotin (also known as Vitamin H or Vitamin B7) to support hoof growth, skin and coat condition, as well as containing an innovative protected live yeast and a mycotoxin binder to support a healthy GI tract. Feeding Guide Level 25ml (14g) scoops per day. Active Ingredients (per 43g / 3 level scoops) Vitamin A 30,000 IU; Vitamin B1 (Thiamine) 30 mg; Vitamin B2 (Riboflavin) 30 mg; Vitamin B3 (Niacin) 50 mg; Vitamin B5 (Pantothenate) 30 mg; Vitamin B6 (Pyridoxine) 20 mg; Vitamin B12 250 ug; Vitamin C 500 mg; Vitamin D3 (Cholecalciferol) 3300 IU; Vitamin E (alpha-tocopherol) 500 mg; Vitamin K 10 mg; Folic acid 20 mg; Biotin 1.25 mg; Choline 750 mg; Selenium 1.25 mg; Iodine 3.5 mg; Manganese 400 mg; Zinc 400 mg; Copper 100 mg; Magnesium 84 mg; Calcium 4.06 g; Saccharomyces cerevisiae 9 x 10^10 cfu. Do not exceed the recommended intake. The Selenium intake from other dietary components should be considered. If in doubt, please contact our nutritional helpline for detailed advice. 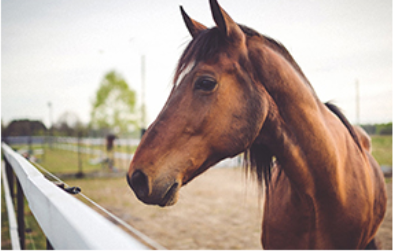 For detailed information on the function of Vitamins and Minerals within the horse, please see our website. Retinyl acetate, cholecalciferol, a-tocopherol, vitamin K, folic acid, niacin, calcium pantothenate, riboflavin (B2), vitamin B12, thiamine (B1 nitrate), pyridoxine (B6 HCl), biotin, ascorbyl mono phosphate, sodium selenite, calcium iodate anhydrous, manganese oxide, zinc oxide, copper sulphate, choline chloride, calcium carbonate, magnesium phosphate, yeast, alfalfa meal. Avoid feeding other supplements containing selenium.